It’s a cornucopia of stencils. All shapes, no alphabets. 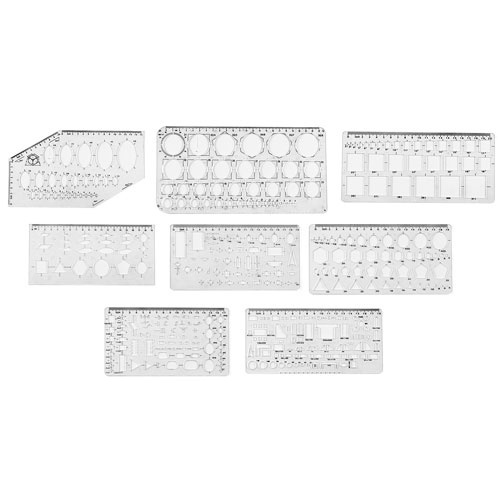 You’ll get a profusion of (8) clear acrylic stencil sheets, including: a raft of ovals; a preponderance of squares; a farrago of circles, hexagons, pentagons and triangles; a collection of a bunch of shapes, including trapezoids; a roomful of interior design shapes; a melange of electronic symbols; and an assortment we can’t altogether identify, but might be for printed circuit design. All have mm rules along at least one edge. 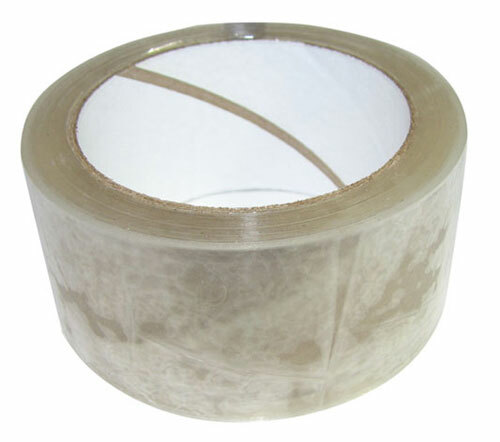 Our clear 2" wide carton-sealing tape is, well, clear, available in nearly 55 yard lengths, and on a 3" core which will fit standard carton seal tape dispensers. 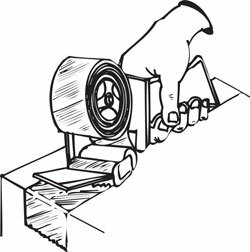 Perfect for moving day and for DIY laminating projects. And do compare the savings -- even discount stationery catalogs can't touch these prices. 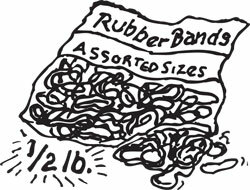 Our each is a half-pound bag of rubber bands in assorted sizes and equally assorted colors, and how many is that, you ask? Darned if we know. Looks like about a third of a gazillion, but that's just an estimate. You won't run out anytime soon. 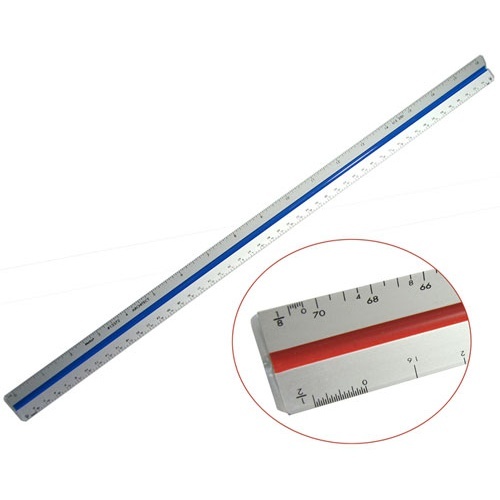 Our each is a package of (2) steel tech rulers. One is 6” x 1/32” for the first 2-1/2” then 1/64” for the next 1/2” then 1/16” for the last 3”. The other is 150mm x 0.5mm. Both have sliding markers/pocket clips, and both have mm:inch tables on the reverse side. You’ll need excellent eyesight. The low-profile, approx. 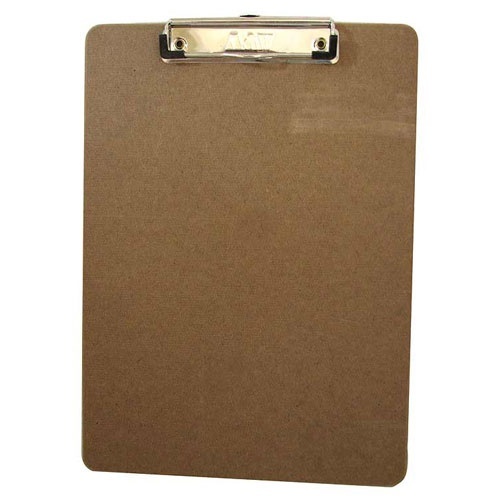 5" wide steel clip stands just 5/16" above the 1/8" thick natural-tan pressboard of this trim clipboard. Measures approx. 12" x 9". Made to slip conveniently into a briefcase, but also has a hole on the backside of the clip for easy hanging. 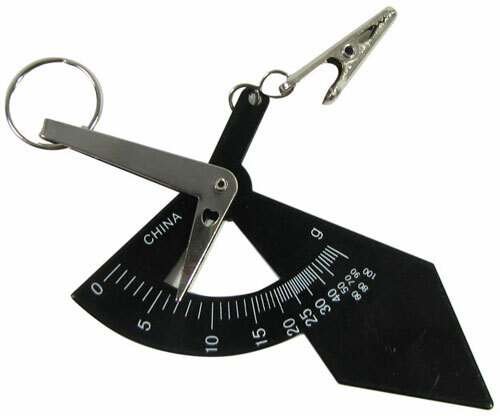 Tiny but perfectly accurate, and the only pocket postal scale most folks will ever need. 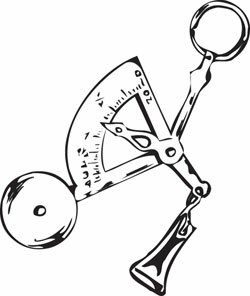 Stick your envelope in its alligator jaws, hold or hang it up and read the weight in grams (0 to 100) or ounces (up to 4) in increasing increments. Handy in the US, and very handy for travel to metric lands. Pretty much flat and approx 3" long in its vinyl pouch, it takes up virtually no room, costs next to nothing, and has no batteries. 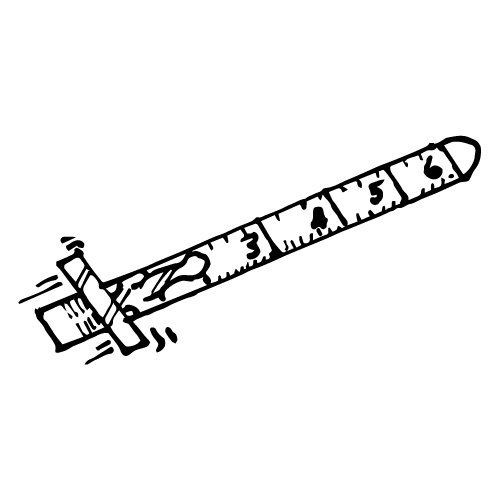 Nice little teaching tool for kiddies, too. 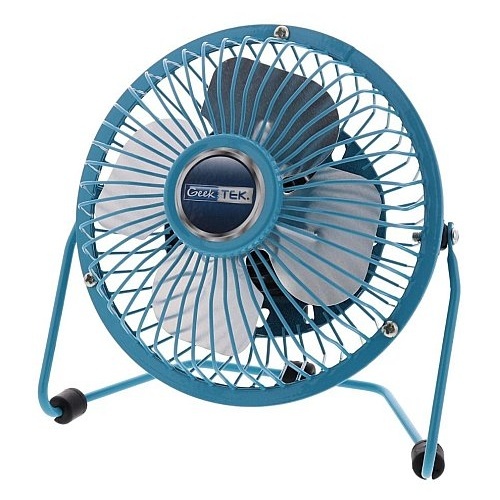 These miniature versions of the traditional floor fan say "Retro Mini Fan" on them, and the retro part is that the blades and cages are all metal. The handy part is that they're just 5-3/8" dia and the plug is a USB, ready to cool you off right from your (actual) desktop. 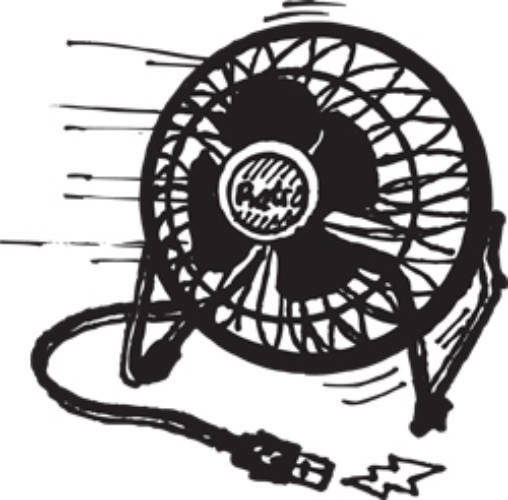 Tilts 180° up and down and comes with a 4-foot cord. Super quiet, too. We'll pick one in red, blue or black. Just like buying salami, except you can't take notes with lunch meat, and these pens cost less than sausage. We bought them in bulk, and we're selling them in bulk. 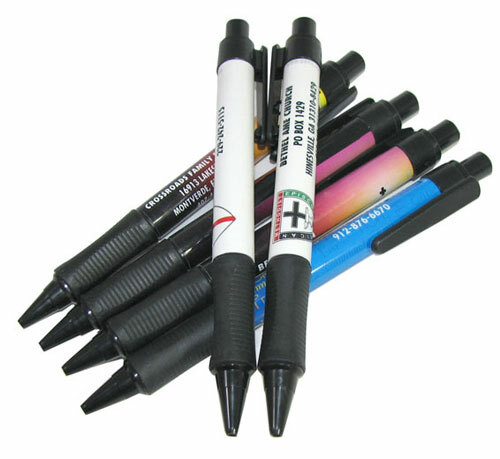 Our PKG will get you (2) lbs of assorted, but very nice, ballpoint pens with a gallimaufry of logos and names. 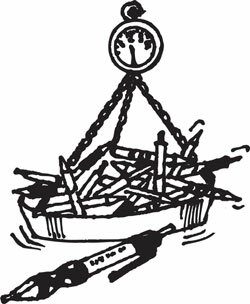 For future reference, pens weigh in at approx (50) per pound, give or take. 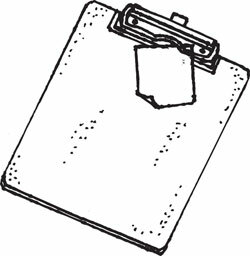 No self-respecting number cruncher can afford to be seen without one of these fashion classics. 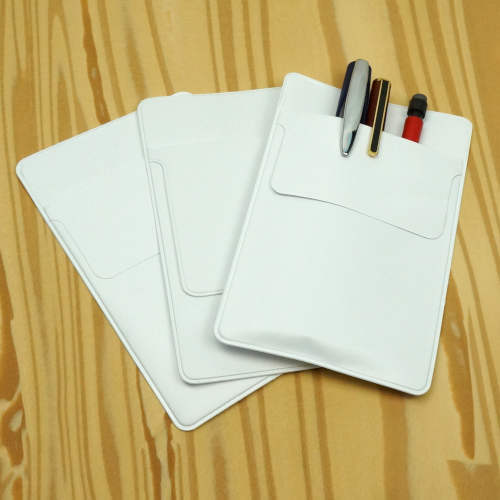 We'll pick out (3) black or white vinyl pocket protectors in the traditional 5-1/2" x 3-1/2" size. Order quickly; It's only a question of time before these are seen on the runways in Milan. 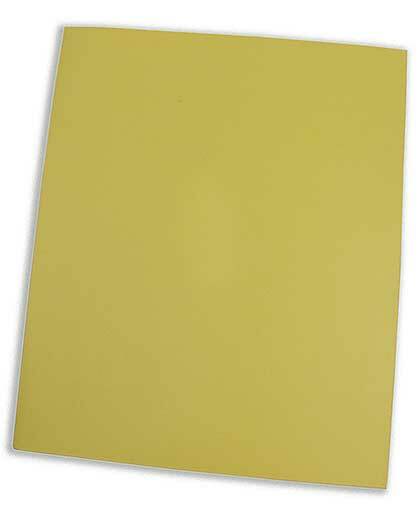 What we have here are 96-sheet, white genuine Post-It note pads, 4” wide x just shy of 3” tall with adhesive strips on the top edge. 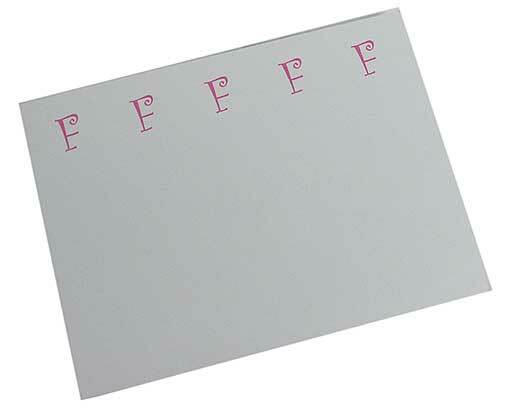 Plus, for mysterious reasons, the samples we received have (5) pink capital letter Fs strung across the top margin. Just ignore them, unless your name is Frances, Fiona, Frank, Felicity or Fanny--or Fogarty, Fletcher, Fox or Fernandez, but don’t ask for a discount because they’re already cheap. 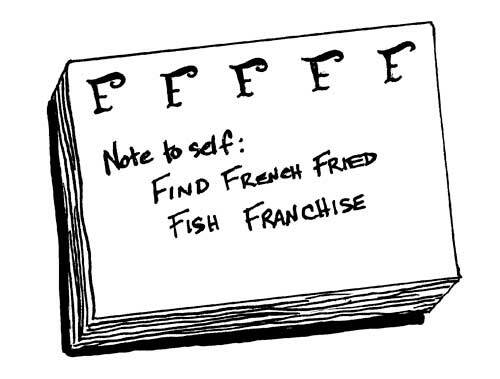 You will probably get some letters other than F, or even names, too! That’s why they call it surplus. Can’t beat cheap, and that’s the price you’ll pay for these standard, everyday, traditional two-pocket paper folders. You’ll get a 10-pack in assorted colors, which may include burgundy, yellow, purple, white and some other colors because the world is a rainbow of possibilities. 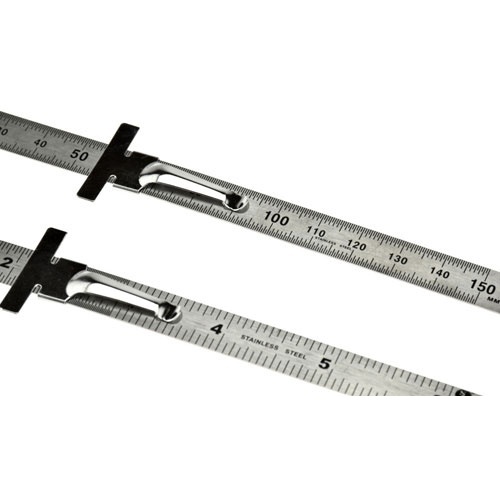 Our tactical twofer is a 6” long x 1/2” dia. 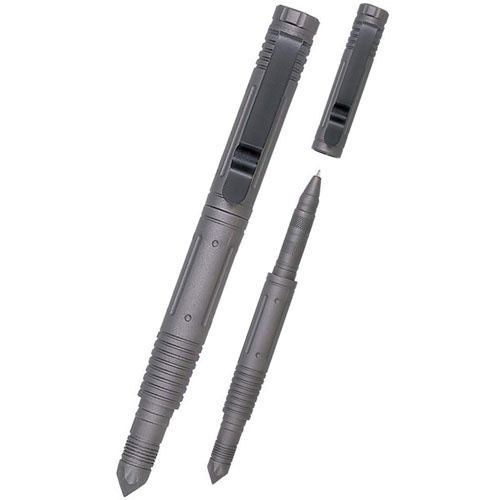 aluminum body ball-point pen with black ink, with an automobile window breaker at the other end. In gun-metal gray, as befits things tactical, with a pocket clip on the flat-top cap. Escape from your car, then write us a thank you note. 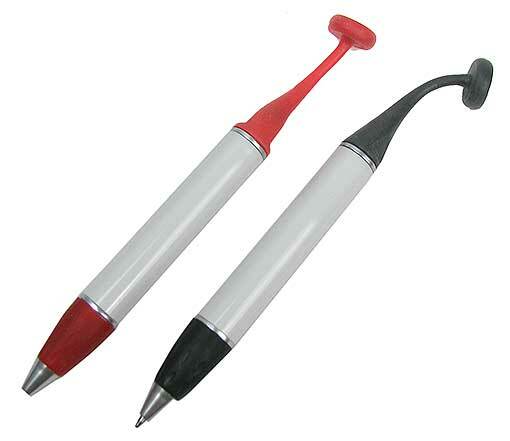 These mysteriously appealing ball-point pens have black ink and a rubber grip at the business end, and a 5/8” dia rare earth magnet embedded in the end of a 1-3/4” long flexible rubber tail at the other end. Yep, you read that right--a magnet. So when they’re not in use they’ll just dangle from any steel surface--like fridges, file cabinets and belt buckles. We’ll pick a pair in red, aqua or black, because they’re all cute as the dickens. 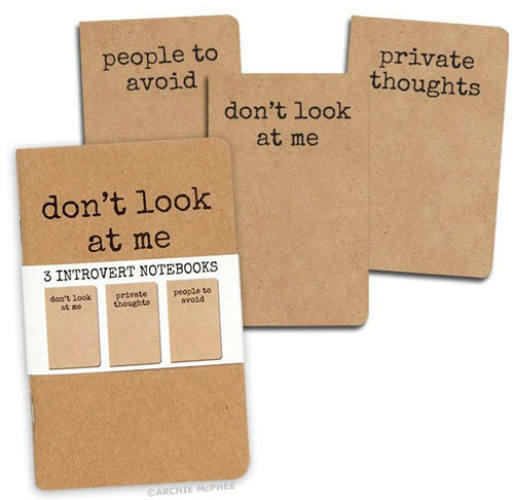 A 3-pack of notebooks for introverts. 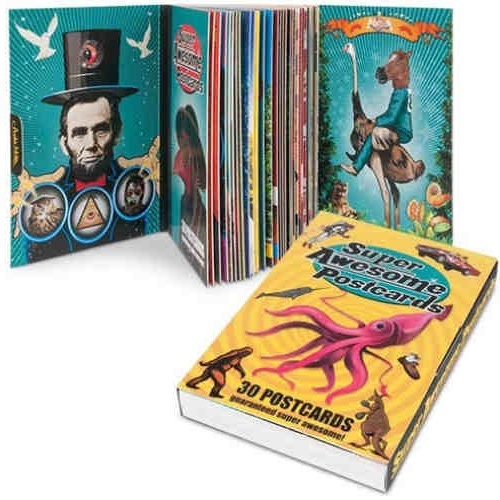 These 48-page lined notebooks measure 5-1/2" x 3-1/2" and have grocery store-paper-bag-color cardboard covers, pretty much what you find in your Moleskinny notebooks, but at less than 1/4 the price. 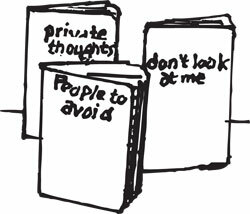 Plus no strangers will talk to you on the bus because these are labeled "private thoughts," "don't talk to me," and "people to avoid" on the covers. 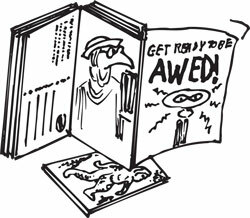 They've got a pic of a tiny person reading at the bottom of the pages, but so what? From our friends at Archie McPhee. 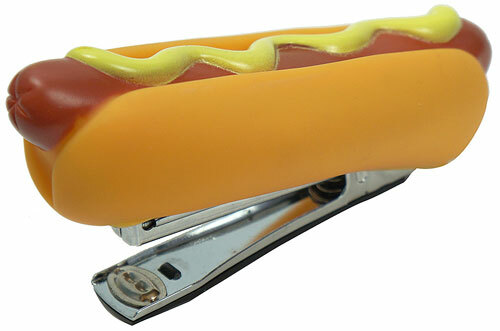 Meanwhile, we’re making do with this hand-held, 5” long hot dog stapler. Makes putting paper together a bright spot in the day. 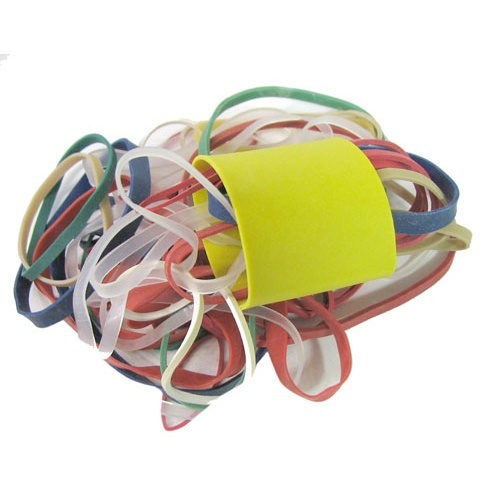 Uses those standard 3/8” mini staples and comes with a couple dozen, but they’re available wherever office supplies are sold. 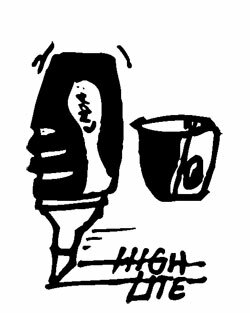 Is that a pencil in your pocket, and wouldn't you like a little stubby highlighter that didn't take up so much room? 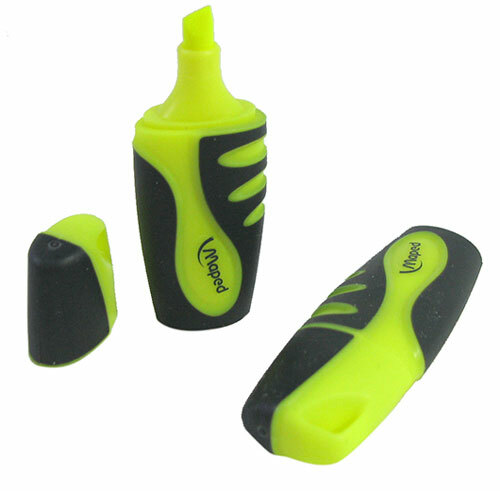 Our each is (2) neon-yellow markers with 1/8" tips in soft-grip housings just 2-5/8" long x 1" oval, with a little slot on the cap for a chain if you want to wear them on a string or attach them to a key ring. And why wouldn't you?